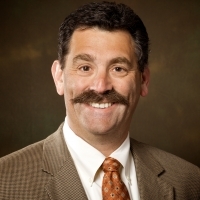 Kenneth Epstein MD, MBA is an accomplished and solutions-focused Senior Executive, Consultant, and Physician with more than 34 years of success across the healthcare industry with a focus on primary care, hospital facilities, academic medicine, and hospitalist program management. Leveraging extensive experience as a clinician and in management, he is a valuable advisor for an organization needing oversight of a physician practice or practice management, interacting with clinical products and healthcare quality improvement, or the efficient transition from hospital to home and post-acute facilities. His broad areas of expertise include mentoring physician leaders, physician practice leadership, clinical expertise, and healthcare finance. Throughout his executive career, Dr. Epstein has held leadership positions with kre consulting, Inc., Schumacher Clinical Partners, ECI Healthcare Partners, IPC – The Hospitalist Company and Jefferson Medical College at Thomas Jefferson University. Clinical communication is the single most important aspect of creating a patient-centric culture. ..